This inspired recipe is a crowd pleasing favorite! 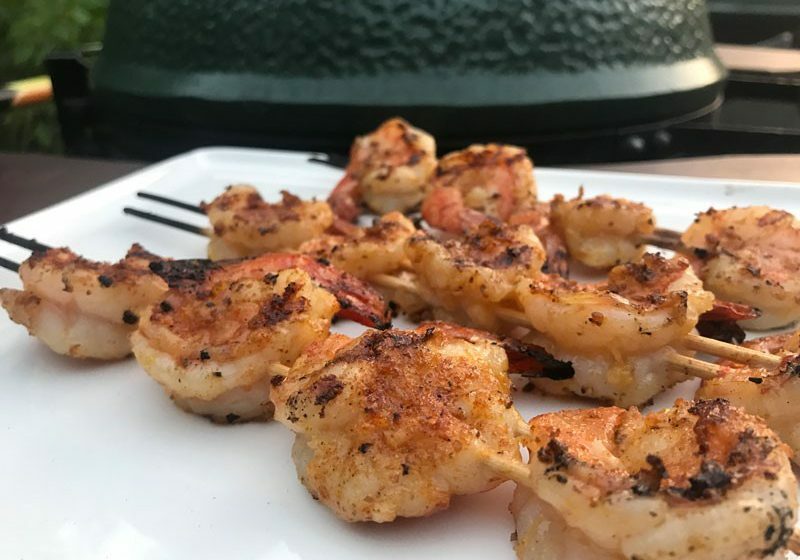 What’s better than shrimp and bacon on the grill?! With a little bit of work, this recipe pays off big time in the flavor department! Preheat a charcoal fire to 400°F (Medium-High) for a direct heat cook. Mix the sauce ingredients in a small sauce pan and simmer for 5 minutes. Season the shrimp with some of the pepper and Tsunami Spin. Roll a piece of crystallized ginger in a quarter leaf of basil. Stuff into the butterflied shrimp and wrap with bacon. Place tail side up on the cedar plank and gently press down on the base of the shrimp to stabilize it so it will stand. Repeat with other shrimp. Sprinkle the entire plank with any leftover seasoning. Place the plank on the grill, close the lid, and grill for 15 minutes. 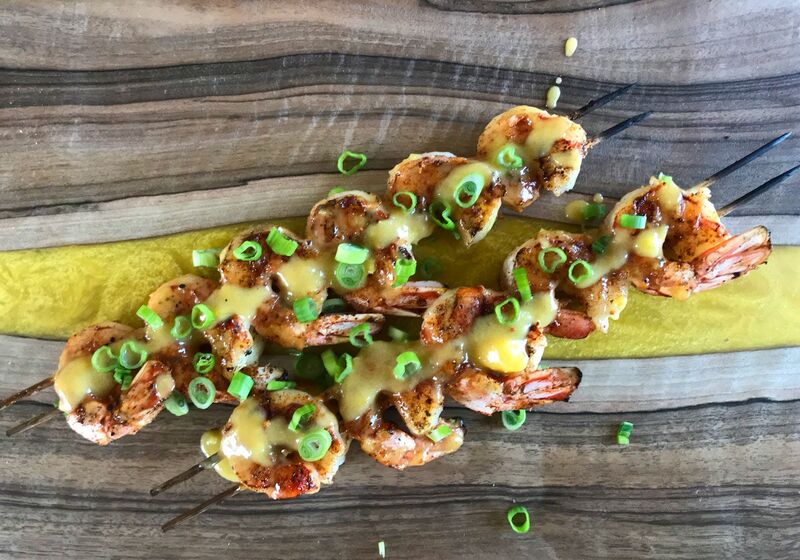 Remove the plank from the grill, dip each shrimp into the Sweet Tamarind BBQ Sauce, place back onto the plank and return the plank to the grill. Cook for 3-4 more minutes. Remove plank from grill and sprinkle with sesame seeds. Serve on a bed of shredded lettuce. This recipe is inspired by Big Bob Gibson’s BBQ Book by Chris Lilly. Thin Bacon – use the cheapest, thinnest bacon you can get. Thick bacon will be not done before the shrimp is fully cooked. Crystallized ginger – This is a key ingredient. Don’t try to substitute ground ginger. You might be able to get away with using a sliver of fresh ginger but I haven’t tried it that way. Plank – I used Fire & Flavor brand planks.